IMAX is not your everyday entertainment experience. In fact, it's unlike anything else. It’s not surprising that IMAX employees and their careers go beyond the ordinary. Our employees share a passion for quality in everything they do. Our Hollywood people are entertainment business insiders with unparalleled production experience. Our technology experts are unashamedly geeky – people who can talk for hours, and be riveting, about color gamut, aspect ratios and lasers. Our business people are consummate sales and marketing professionals who are spreading the IMAX word around the world. Driven by our employees’ commitment to take audiences to places they’ve only dreamed of – IMAX has revolutionized the way people experience entertainment. Our workplaces are engaging and dynamic, a home away from home where our employees feel appreciated, recognized and rewarded for their contributions. Our team spans the globe, but we're united to deliver the ultimate entertainment experiences. We set a high bar for talent where passion, engagement, innovation, and collaboration are cultural requirements. We dream big and work hard to achieve greatness because adventure and imagination are woven into our DNA. We’ve revolutionized entertainment experiences and we continue to not simply embrace change but lead it. At IMAX, good is never good enough. We’re constantly pushing the boundaries of immersive entertainment to provide our fans with new and exciting experiences. We never compromise and our focus on quality is hard-wired into everything we do. We’ve done our job when we hear our fans say, “I’ve got to experience that in IMAX.” And that’s something we hear a lot. You have unique experiences, skills and capabilities and we want you to bring them to IMAX in exchange for a rich and rewarding career experience that will surprise you. Whether you have a passion for entertainment, finance, engineering, marketing or technology, we’ve got endless opportunities for you around the world. At IMAX, we are here to support you and believe that your career is an individual adventure. You are the driver of your career development. Your manager will assist and coach you, providing you with tools to help you succeed including giving you access to hundreds of online learning resources. We know everyone works differently and is motivated by different things. That’s why we offer competitive total compensation and rewards that extends far beyond salary and standard benefits. We offer a total compensation, benefits and rewards program to help you make the most of your life at work and away from it. IMAX recognizes the benefit of supporting the health and wellness of its employees. Use our annual employee wellness allowance to take yoga classes, to train for a half-marathon or for ski lift tickets. Support causes that matter to you with our donation-matching program or get involved with our Corporate Social Responsibility program. Treat your friends and family to a free IMAX screening of the latest Hollywood blockbuster (with popcorn of course) or take advantage of group discounts for insurance, attractions, entertainment and more – across the globe. Redeem rewards points you've earned for restaurant gift cards, merchandise or once in a lifetime experiences. We believe you're more than your job. At IMAX, we help you get the most of your life at work and away from it. And you won't only be an employee of IMAX, you will be a shareholder, because every employee has the opportunity to receive shares in the company at no cost to them. "I am driven by my passion for cinema, so working alongside people that share this commonality has been invaluable. At IMAX, passion meets innovation every day." "I truly believe in the vision and standards IMAX has worked so hard for over the years. From the moment you step into the building, there is a strong sense of community. I heart IMAX!" "It is always exciting to test the latest and greatest technology here at IMAX. I am motivated to learn among a passionate group of ,Engineers who continuously provide new and unique ideas. The best part is being able to experience these innovative ideas come to life on the big screen." Our internship programs help college and university students jumpstart their careers by providing meaningful work experience. Students receive exposure to real-world scenarios in the workplace and the opportunity to explore different career fields, develop professional skills, build their resumes, and make themselves more marketable before entering the workplace. Features of our program include unique learning opportunities and unparalleled access to senior leaders and subject matter experts. In addition, we want to learn from you. Interns present their vision for the company to their peers, managers and the HR Team. "A combination of things make IMAX a great place to work. There are plenty of opportunities for advancement, hard work is rewarded, and I can clearly see and understand how my individual efforts contribute to the IMAX big picture. Best of all, IMAX is made up of a great group of dedicated and passionate people that work together as a team to reach our company’s goals." 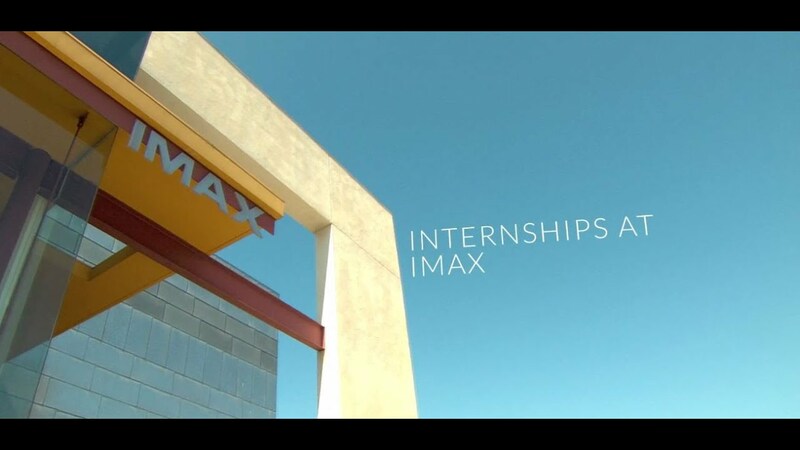 "Interning at IMAX was an invaluable experience. I worked closely with my manager to compile documentation covering the entire post-production workflow into step-by-step instructions. I had the opportunity to learn most of the aspects and features of IMAX’s post-production process and I now feel much more prepared in terms of launching my career after graduating from USC. IMAX has provided the perfect internship." 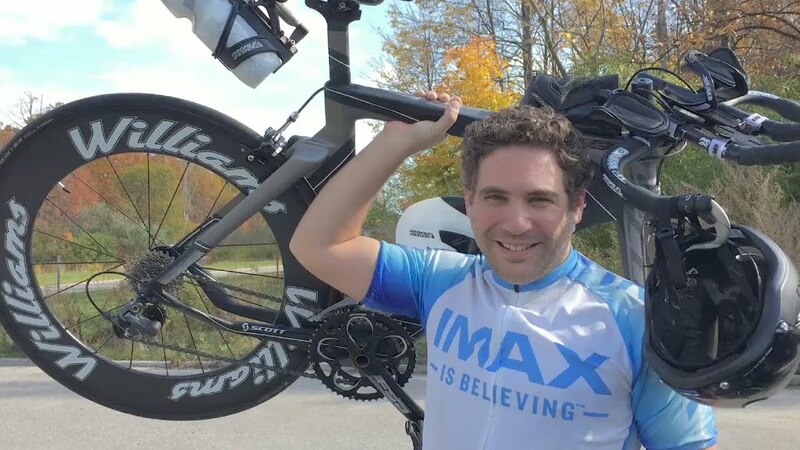 "At IMAX, I’ve worked on various projects that have exercised my classroom knowledge and beyond. I was given plenty of responsibility and was able to jump right into this fast-paced development, an experience that has helped."